We integrate ecological, behavioral, physiological, and anatomical studies, under a comparative framework, to investigate the mechanisms, function, and evolution of animal communication systems and signal-processing mechanisms. Behavioral diversification and evolutionary change in auditory perception​. The nervous system plays a major role in generating and analyzing communication signals. How changes in brain regions that analyze these signals relate to changes in perception and behavior is not fully understood. We study the iconic ‘ribbit’ of Pacific tree frogs to uncover precisely this. During the breeding season, female frogs use the calls produced by males to recognize males of their own species and to choose a high-quality male as a mate. Interestingly, throughout their distribution range, males from different populations produce different calls and it is unclear whether Pacific tree frogs constitute one, two, or even three different species. In this project, we will (i) measure variation in male calls throughout their distribution, (ii) evaluate whether this variation is meaningful for mating purposes, and (iii) explore how changes in the auditory system track changes in the vocalizations to make sense of the communication signals. How does the auditory system respond to increasing levels of urban noise? Increasing levels of human-generated noise are limiting the perception of acoustic communication signals in different groups of animals, including whales, birds, amphibians, and insects. Because these signals are important for important social interactions like territory defense and mate attraction, natural selection should favor signals and receptors that maximize communication distance in a given environment. Consistent with this hypothesis, several studies have shown that animals adjust their acoustic signals in the presence of noise, for example by vocalizing louder or with higher pitch. We do not know whether hearing capabilities also adjust to increasing noise levels. 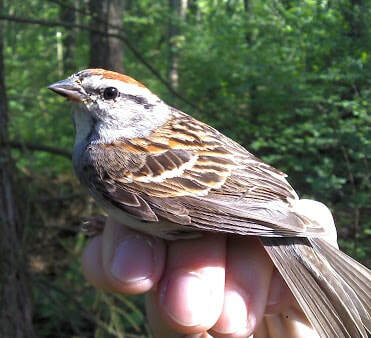 In collaboration with Dr. Elizabeth Derryberry and Dr. Jeff Lucas, we are using white-crowned sparrows as a model system to investigate how auditory processing abilities vary across populations with different levels of noise and to determine how variation in auditory processing abilities scale up to variation in behavior. How do pathogens affect communication systems and reproductive behavior? Behaviors associated with reproduction, like vocal displays, territory defense, and mate selection, are energetically costly. Pathogen-induced stress may affect how much energy individuals allocate to reproduction. Chytridiomycosis, a pandemic disease caused by the chytrid fungus Batrachochytrium dendrobatidis (Bd), is a major cause of decline in amphibian biodiversity. While this disease can be lethal, some anuran species appear to be highly tolerant to chytridiomycosis. In collaboration with Dr. Vance Vredenburg, we are investigating how Bd infection affects communication and reproductive behavior in Pacific tree frogs. What are the neural substrates of evolutionary change in sensory perception? Evolutionary changes in peripheral sensory systems affect the evolution of perceptual abilities and animal communication systems, and ultimately, can lead to the formation of new species. Studies in the field of neuroecology have shown correlations between gross brain anatomy and perceptual abilities. The cellular and circuit basis for evolutionary change in sensory perception, however, remain unknown. 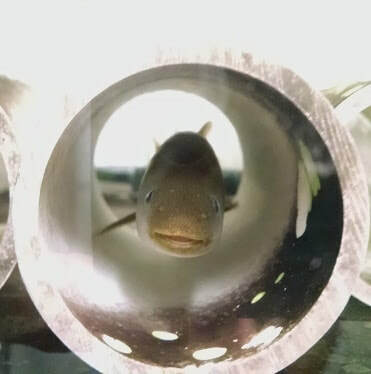 I addressed this specific question in weakly electric fish of the family Mormyridae during my postdoctoral appointment in the lab of Dr. Bruce A. Carlson at Washington University in St. Louis. Do sensory systems match signal properties? Communication signals are diverse and often mediate evolutionary important processes such as species recognition and mate choice. Compared to vast number of studies investigating the factors that shape communication signals and the mechanisms for signal production, we know considerably less about the factors shaping signal-processing mechanisms. As a postdoctoral research associate in the lab of Dr. Jeffrey R. Lucas at Purdue University, I used a comparative approach to investigate whether auditory processing in songbirds is phylogenetically constrained, “tuned” to species-specific properties of the vocal repertoire, or shaped to match habitat properties of sound propagation. We also investigated whether auditory processing matches seasonal changes in vocal repertoire, social behavior, and habitat structure. How do animals communicate in a noisy world?